The Scientific Advisory Group is made up of active reintroduction practitioners, both researchers and managers, with broad geographic representation and expertise across a wide variety of taxa. The SAG has worked to put together the program for the conference, and will review the abstracts submitted for consideration for talks or e-poster presentations. Phil is a Professor of Zoology and Director of the Postgraduate Wildlife Management Program at the University of Otago, New Zealand. He has been a member of the IUCN SSC Reintroduction Specialist Group (RSG) since 1994, and Chair of the RSG Bird Section since 1998. He has been involved in the implementation of reintroduction projects for mammals, birds, and reptiles in Oceania and the Middle East, and has advised on reintroduction projects globally. He was a member of the working groups that drafted the IUCN Reintroduction Guidelines (2013), and the IUCN guidelines on De-extinction for Conservation Benefit (2016). Phil has published over 150 papers, many focused on reintroduction topics, and has co-edited two books on reintroduction biology. Megan is Executive Vice President at Lincoln Park Zoo, Chicago, USA, where she oversees the zoo’s operations including the animal care and conservation & science departments. Lincoln Park Zoo has a long history of supporting reintroduction efforts both locally and globally and played host to the 2008 International Wildlife Reintroduction Conference. Megan’s main research focus has centered on avian behavior and welfare, and she has been involved with population management of Guam rails and Bali myna for the last 15 years. John is a Senior Research Fellow at the Institute of Zoology, Zoological Society of London, UK. He is a long-standing member of the IUCN SSC Reintroduction Specialist Group (RSG). John has been involved in reintroduction projects and post-release management for birds in New Zealand, Australia and Mauritius and has assisted with decision-making on reintroduction projects for birds, mammals and reptiles globally. He currently chairs the Hihi Recovery Group in New Zealand and is a founding contributor and lecturer to the IUCN RSG's Training for Effective Conservation Translocations. John has published over 100 peer-reviewed papers, many focused on reintroduction and post- release management. He has co-edited one book on reintroduction biology. Ignacio Jiménez-Pérez is Vice President of The Conservation Land Trust in Argentina. He has extensive international experience in conservation, including: coordinating projects on manatees in Costa Rica and Nicaragua, on golden-crowned sifakas in Madagascar, and on wetlands in El Salvador, and production of a national assessment of Spanish endangered species recovery. From 2015 he has coordinated the Americas’ largest reintroduction program, in the Iberá region of Argentina, including species such as giant anteater, pampas deer, tapir, peccary, maned wolf, and jaguar. He spent 2016 in South Africa learning how organizations manage nature reserves, rewilding and ecotourism. Ignacio’s main interest is identifying organizational factors behind successful conservation. His work has appeared in journals, books, and other publications. Sarah is a Senior Lecturer in Conservation Ecology at Liverpool John Moores University, UK. She is a plant ecologist focusing on threatened species and responses to global threats such as climate change, and on the efficacy of conservation interventions. Sarah has undertaken various practical conservation initiatives including reintroduction, has reviewed threatened plant translocations, and contributed to policy documents, including co-authoring the IUCN Reintroductions Guidelines (2013) and the Scottish Code for Conservation Translocations (2014). Sarah is currently working in the conservation and forestry sector to find cross-disciplinary commonalities, opportunities to use translocations as bioassays of environmental change, and to identify use of assisted colonization to minimize biodiversity loss due to climate change. Zhongqiu Li is an associate Professor of Zoology at Nanjing University, China. He has been a member of the IUCN Crane Specialist Group (RSG) since 2013. He has been involved in the implementation of reintroduction projects and conservation biology for Pere David's deer. He has published over 30 papers on reintroduction, behavioral ecology and the conservation biology of several Chinese endemic ungulates and cranes. Sarah is the newly appointed Unit Leader of the Washington Cooperative Fish and Wildlife Research Unit at the University of Washington, Seattle, USA. She holds dual roles as a federal scientist – a Research Ecologist with USGS – and as an Associate Professor in the School of Aquatic and Fishery Sciences and the School of Environmental and Forest Sciences. From 2007 to 2017, Sarah was a Research Ecologist in the Quantitative Methods Research Group at USGS Patuxent Wildlife Research Center. Her research is built around two themes: endangered species quantitative population ecology, and decision analysis in endangered species management. Sarah has published more than 50 research articles, book chapters, and peer-reviewed reports. Sarah collaborates with wildlife managers in federal and state agencies. She also advises graduate students and post-doctoral research associates. Doug is the Professor of Conservation Biology at Massey University, New Zealand. He has over 25 years’ experience in reintroduction biology, and has been the Oceania Chair of the IUCN Reintroduction Specialist Group (RSG) since 1997. He has been directly involved in many New Zealand reintroductions, and specializes in combining experimental management with population modeling to make predictions to facilitate management decisions. He is a founding contributor and lecturer to the IUCN RSG's Training for Effective Conservation Translocations. Doug has published over 120 peer-reviewed papers, many focused on reintroduction and post-release management. He has co-edited two books on reintroduction biology. Alienor is a Lecturer in quantitative ecology at Griffith University, Australia. She completed her PhD in 2012 on modeling the dynamics of translocated populations, and is currently involved in assessing the impact of changing management regimes on translocated birds’ viability. Her expertise as a modeler spans a wide range of topics, including population dynamics, habitat suitability modeling, and optimization. Ali is particularly interested in conservation decision-making and how we can improve interventions to be most cost-effective. She has published several peer-reviewed articles and book chapters on conservation translocation. Mike is General Manager for Park Planning & Development within South African National Parks. He started, as a scientific officer based in the southern Kalahari, and was head of Research for inland parks before his current position, which has also included a stint as Acting Managing Executive for Conservation Services. His current role involves expanding the SANParks system based upon best conservation planning science. His experience is in large mammal ecology, park planning, and conservation planning in Southern, Eastern and north Central Africa. 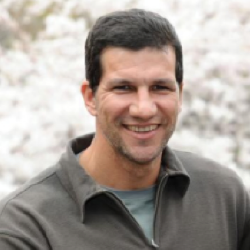 Mike is a member of the IUCN Antelope and Sustainable Use & Livelihoods specialist groups. He has been involved in rhino conservation for over 22 years, including as Chair of the SADC Rhino Management Group, and from 2011 as Chair of the IUCN SSC African Rhino Specialist Group. Axel is Director of Conservation & Science at the Calgary Zoological Society, Adjunct Associate Professor at the University of Calgary, Research Associate at Oxford University where he received his PhD, and Chair of the IUCN SSC Reintroduction Specialist Group. His work in Europe and North America is complemented by community conservation research in Africa to develop synergies of biodiversity and local livelihood benefits. Research of his own group on various taxa, valued collaborators, and the RSG network advance the global relevance of conservation translocation science to yield pragmatic applications on a local level. By amplifying translations, professional training, and policy integration of the 2013 IUCN Guidelines for Reintroductions and Other Conservation Translations, he aims to elevate global impacts for the restoration of species, their functions, and subsequent benefits to nature and humanity. François is a Professor of Ecology at Sorbonne Université Paris France. He has been co-Director of the Master degree in Ecology, Biodiversity and Evolution for 13 years. Since 2014 he is the president of the Scientific council of the French Foundation for Research on Biodiversity. In the Centre for Ecology and Conservation Sciences, he runs researches on reintroduced populations, conservation, and conservation ethics. Since the 9O’s he has been working on the dynamics and viability of translocated populations of vertebrates, and particularly vultures, in Europe. As a member of the IUCN SSC Reintroduction Specialist Group (RSG) he was involved in the working group that drafted the IUCN Reintroduction Guidelines (2013). 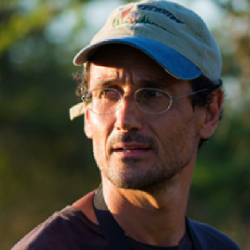 François has published over 80 papers, many focused on reintroduction topics, and co-authored one textbook on conservation biology.